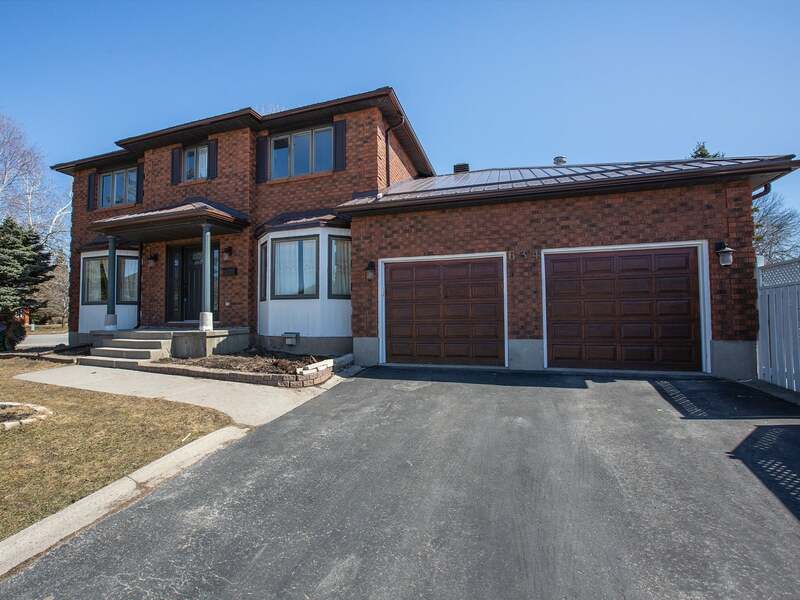 Custom built all brick two storey home on a quiet street. Featuring over 3,700 sq/ft of finished living space, 4 bedrooms, 3.5 baths and in-ground swimming pool! Large foyer, formal living/dining rooms, kitchen w/granite counters overlooking breakfast nook and sunken family room with gas fireplace, skylights and patio doors to fenced yard with in-ground pool and stamped concrete patio. 4 bedrooms up including master with walk-in closet and 5-piece ensuite. Fully finished basement with large rec room, additional rooms and 4-piece bath with sauna. All this plus central air, on-demand hot water heating, metal roof and more! A must see home. Lot Size 71 x 108 Sq. Ft. Please send me more information on 634 Fernmoor Drive, Ontario. Thank you.